The Diamond Federation of Hong Kong, China (DFHK) is a non-profit organization aims to protect the integrity of diamond and consumer’s interest by standardizing business practice. It is a joined force of two long-established associations in Hong Kong, namely the Diamond Importers Association (1959) and the Hong Kong Diamond Bourse(1985). Since January 2000, DFHK has undertaken their missions in maintaining Hong Kong’s reputation as the diamond center in Asia and in promoting quality services and consumer rights. Consequently the Integrity Pledge Scheme was launched to ensure an ethnical and professional image of our members. Under the self-regulatory schemes for the diamond industry, members would mark on the sales invoice a true description of the diamond sold over 0.30 carat. Consumers therefore can shop with confidence and enjoyment. Lawrence Ma, president of the HKDB explains, "The DFHK will continue to fulfil a significant role in Hong Kong's diamond and jewellery trade as well as a central point in Asia's link to its local, Chinese and global markets. The city itself is set to remain China's chief distribution hub and centre of expertise for exports. We look forward to providing a trusted platform to our members and those individuals who trade with us. 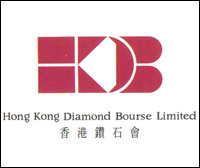 The Hong Kong Diamond Bourse Limited (HKDB) was established in January 18, 1985 as a result of industrial development in Southeast Asia gaining momentum during the 80's coupled with increased affluence amongst consumers. The emergence of the Asia Pacific region as an important market for diamonds prompted diamond dealers in Hong Kong to establish a bourse that would place them on an international footing. 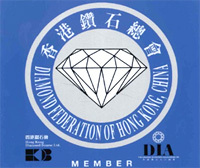 Operations were officially inaugurated in March 1985 and by June 1987 the HKDB became the 20th member of the World Federation of Diamond Bourses (WFDB). 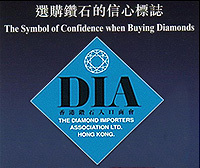 The Diamond Importers Association (DIA), a nonprofit organization founded in 1959, which played an important role in raising Hong Kong’s position as the Diamond center in Asia. Its aims are to fortify the reputation of its members to protect consumers’ rights, to raise the local standard of diamond trading and to ensure that members of the public can buy diamonds in Hong Kong with confidence. For the protection of the consumers, DIA offered complementary “Introduction Card Kit”,from 1970’s until the merger with DFHK, to visitors and local residents. DIA was behind the consumer in every purchases, giving the pledge of Confidence. The “DIA” Decal displayed in a jewelry store, symbolizes reliability, confidence and professionalism. 1988 As an advisory body, set up information booth in HKTDC’s Jewellery Show. 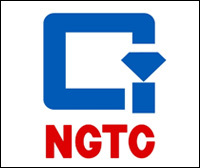 NGTC - NGTC (HK) LTD.
NGTC (HK) LTD. (Chinese Name: 國檢珠寶實驗室 (香港) 有限公司(Abbreviation ”NGTC/國檢”), is a lab which has passed the accreditation of ISO / IEC 17025 and has been designated the testing laboratory of level production of science and technology. Quality mission is to achieve “SCIENTIFIC” “EQUITABLE”, “ACCURATE” and “EFFICIENT” grading result; and is committed in serving the community & consumer with “EXCELLENCY” in “QUALITY”, “REPUTATION” and “SERVICE"